Zane Williams will play tonight at Midnight Rodeo. From listening rooms to performing arts halls, outdoor parties to rowdy bars, here's your roundup of live music for the weekend and beyond. The Music in the Gardens series continues with Amarillo classic rock band Smokey City Rhythm Revue at 7 p.m. Aug. 4; doors open at 6 p.m. Admission is $10 for nonmembers and $5 for members. Yvonne Perea will headline the latest Yellow City Sounds Live concert in our studios, 2408 S. Jackson St. The free concert begins at 7 p.m., but doors open at 6:30 p.m. and seating is limited. The concert will be broadcast live on FM90, streamed live at kacvfm.org and used for a Live Here episode on Panhandle PBS in the future. Check out my interview with Perea here. The bar, 3121 S.W. Sixth Ave., will feature an acoustic set by Amarillo singer-songwriter Don Todd at 10 p.m. today; cover is $5. Cory Mangum & The Damn Outlaws will perform at 10 p.m. Saturday; cover is $5. String Theory Band will play for a release party celebrating the winery's 2011 Lil' Hoss cabernet sauvignon. The party starts at 6 p.m. at the winery, 19290 Farm-to-Market Road 1541; cover is $10. Amarillo band Mason Jar & The Shine Brothers will perform at 9 p.m. Saturday at the bar, 3101 S.W. Sixth Ave. There's no cover charge. Singer-songwriter Trent David will perform at 9 p.m. Saturday at the cafe, 2811 Fourth Ave. in Canyon. Shotgun Rider plays at 7 p.m. Tuesdays. Lubbock singer-songwriter Dave Martinez will play at 7:30 p.m. Friday and Amarillo singer-songwriter Brian Wynne will perform at 7:30 p.m. Saturday at the restaurant, 614 S. Polk St.
Yvonne Perea will perform at 9:30 p.m. today at the bar, 703 S. Polk St. Then, Amarillo duo Marcus & Jamie will perform at 9:30 p.m. Saturday. There's no cover. "Voice" alum Rebecca Loebe will perform at 7:30 p.m. Saturday for High Plains Public Radio's Living Room Concerts series at the facility, 2717 Stanley Drive. Doors open at 7 p.m.; suggested donation is $15. Here's my interview with Loebe. Danny Dobervich will perform at 6 p.m. today at the new steakhouse, 6103 S. Coulter St. The coffee shop, 2812 S.W. 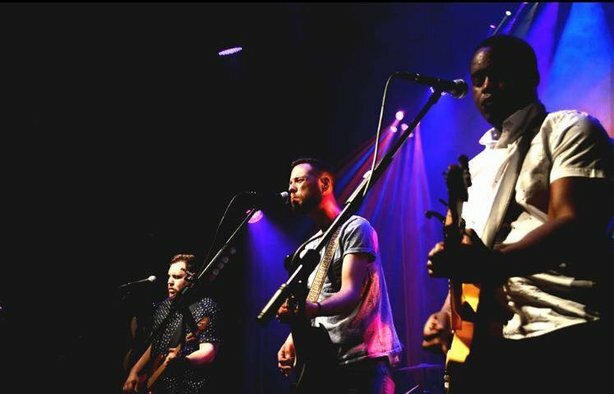 Sixth Ave., will host Louisiana-based indie band The Shake Backs at 9 p.m. Wednesday. Shows are free, but donations are accepted. In addition to all the food and drinks, the Original Harley Party will feature some favorite Amarillo bands. Check out Kilo Road, Mind Plays and The Buster Bledsoe Band during the party, which runs from 5 to 9 p.m. on Polk Street between 10th and 12th avenues. Tickets are $80 per pair. In This Life — A Musical Theatre Tribute to the Beatles will bring back the Fab Four in a 7:30 p.m. Saturday performance at the center, 500 S. Buchanan St. Tickets are $30 to $55, plus fees. Check out my preview here. 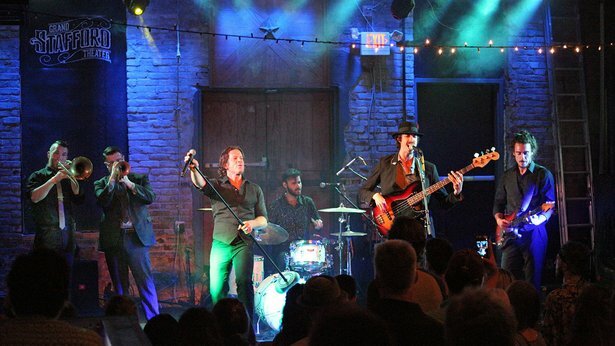 Austin traditionalists Mike & The Moonpies will perform at 10 p.m. today at the cantina, 2906 S.W. Sixth Ave.; cover is $10, and you won't want to miss my interview with lead singer Mike Harmeier. 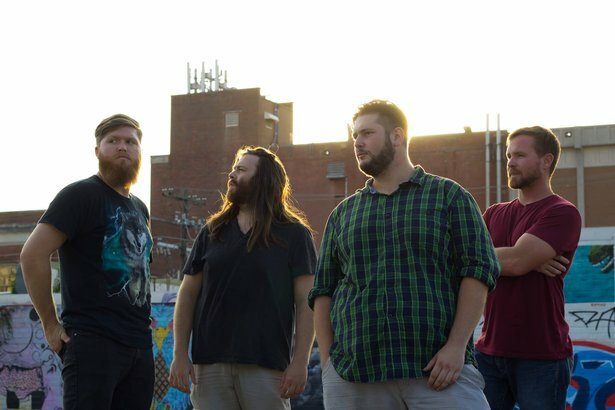 Wekudbeez will play at 10 p.m. Saturday; cover is $8. Rock duo When Particles Collide will team with Amarillo-based Americana band Playa Lake for at 8 p.m. Sunday; cover is $8. And Rodney Parker & 50 Peso Reward will celebrate the release of a new EP with a 10 p.m. Aug. 4 show; cover is $5. The Electric Cowboys will perform at 10 p.m. show today at Guitars & Cadillacs, 3601 Olsen Blvd. Cover is $8. 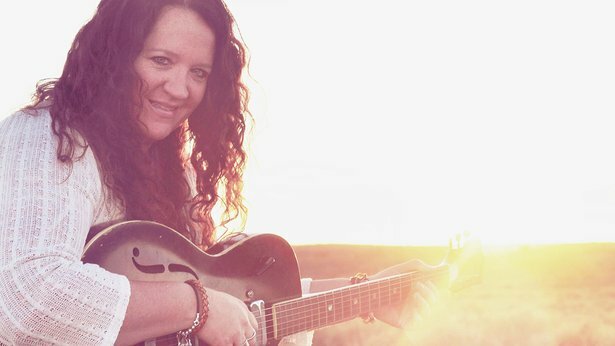 Center City of Amarillo's summer series continues at noon Wednesday with a performance by Katie Eddins on the lawn of the Potter County Courthouse, Sixth Avenue and Tyler Street in downtown Amarillo. Lunch service begins at 11:45 a.m. with chicken-fried steak sandwiches from Youngblood's Cafe; lunch is $8, but the performance is free. The bar, 2424 Hobbs Road, remains closed after some remodeling work. A show tonight by The Cassettes has been postponed, and a scheduled Saturday show by Prophets and Outlaws is still up in the air. Check back for updates. Amarillo bluesmen Johnny Reverb Holston, Blues Boy Willie, Marc Durham and Jay Weeks will perform at 8 p.m. today at the restaurant, 2108 Paramount Blvd. Music on the patio at the Mexican eatery, 7312 Wallace Blvd., will include Benado & The Ticos at 6 p.m. Saturday, Shane Rogers from 1 to 3 and 5 to 8 p.m. Sunday, Clint Culwell at 6 p.m. Wednesday and Insufficient Funds at 6 p.m. Aug. 4. 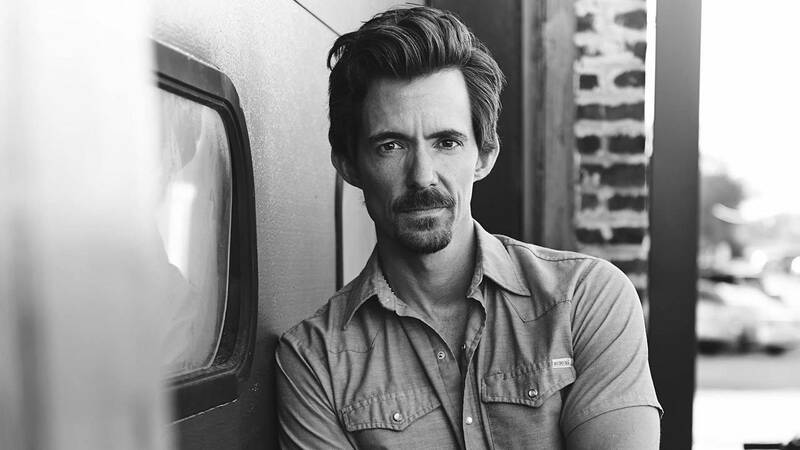 Texas country star Zane Williams will perform at 9 p.m. today at the bar, 4400 S. Georgia St.; cover is $10 for ages 21 and older or $12 for ages 18 to 20. The Amarillo Live! concert series continues with J.W. Lane & County Road X at 9 p.m. Saturday; cover is $6 for ages 21 and older or $10 for ages 18 to 20. Dave Regal and Josh Fitch will sling tunes at 7 p.m. today on the patio at the restaurant, 3515 S.W. Sixth Ave.
Wisconsin-based roots-rock band Kai Andersen & The Pickups will play at 8 p.m. on the restaurant/bar's patio, 619 S. Tyler St. Folk singer Yvonne Perea will perform at 6:30 p.m. today at the restaurant, 3415 S. Bell St., Suite K.
Kai Andersen & The Pickups will perform at 9 p.m. today at the bar, 2801 Virginia Circle; cover is $5. Then, Amarillo country act The Buster Bledsoe Band will perform at around 10 p.m. Saturday for an after-Harley Party show; cover is $5 or free with a Harley Party wristband. Amarillo country band Texas Tumbleweed Junction will play at 9 p.m. today at the bar, 609 S. Independence St. Cover is $3 for guys and free for women. Then, 12 Gauge will perform at 9 p.m. Saturday. Cover is $5 for guys and free for women. 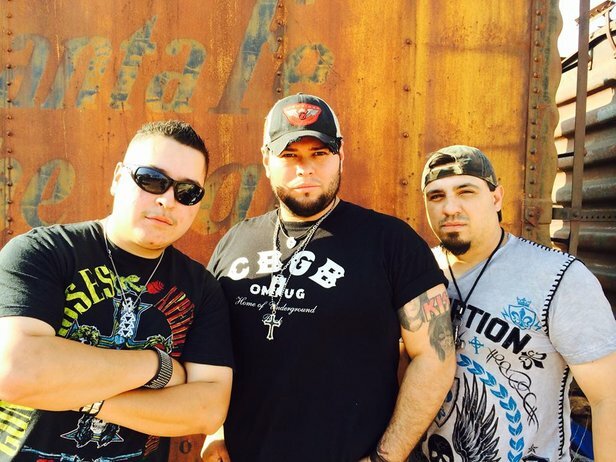 Amarillo band The Lakehouse Project (f/k/a Mesquite County) will perform at 8 p.m. today at the restaurant, 2903 S.W. Sixth Ave. Then, Amarillo favorites Anderson, Flesher & Key will rock out at 8 p.m. Saturday. There's no cover charge for any show. The Matt Spinks Trio will play at 10 p.m. today at the bar, 4100 Bushland Blvd., followed by Moon Dog at 10 p.m. Saturday. Cover is $5 each night. Amarillo folk/Americana band The DustJackets will headline the latest in this year's series from Amarillo Parks and Recreation. The band will kick off at 7 p.m. Tuesday at Sam Houston Park, Line Avenue and Western Street. Admission is free. 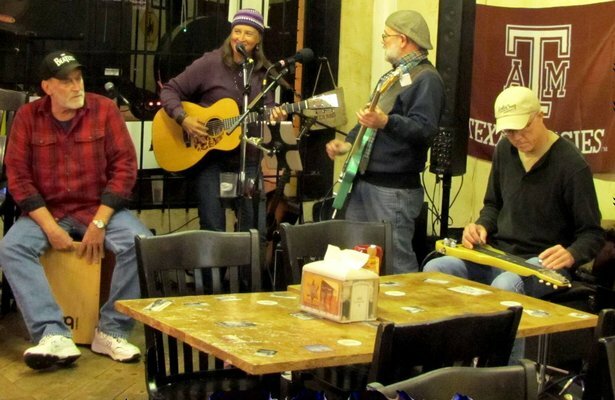 Panhandle Wind will perform at 9:30 p.m. Saturday at the club, 2501 E. Interstate 40. Cover is $5 for men, free for women. Amarillo band Dan Johnson & Salt Cedar Rebels play at 10 p.m. today at the bar, 4001 S.W. 51st Ave., followed by Amarillo's The Lakehouse Project at 10 p.m. Saturday. Cover is $7 or two for $10. Lucid Moment will host jam nights at 7 p.m. Sundays around the fire pit at Mac Daddy's, 1221 S.W. 10th Ave. ... Maggie Burt hosts an open jam at 9 p.m. Tuesdays at Hoot’s Pub. ... Mike Chism and Lee Scheetz host open mic nights at 9 p.m. Wednesdays at Whiskey River, 4001 S.W. 51st Ave. … Skooterz holds open-mic nights at 10 p.m. Wednesdays. ... Clint Culwell hosts open mics at 9 p.m. Thursdays at Austin’s Texas Pub. ... Tommy Davis hosts open-mic nights at 9 p.m. Thursdays at 6th Street Station, 609 S. Independence St.